It may not be as flashy as Kathy Griffin grunting about her primitive urge to push the former governor of Alaska down a flight of stairs, but I like the sheer drive-by stupidity of it. There are plenty of other lefties out there, shivering with an anger so intense they can’t help vomiting it into movie reviews, fashion articles, sports stories, and other inappropriate venues, to the discomfort of readers who weren’t looking for crazy sandwich-board rants about Sarah Palin. 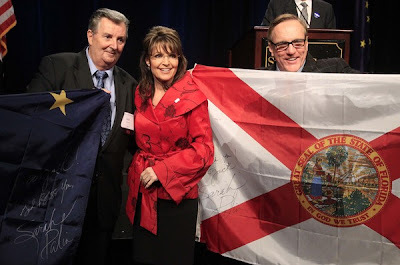 Sarah Palin is Obama by proxy. Palin’s admirers often marvel at how the charges leveled against her are far more applicable to the current President. People who voted for an undistinguished junior senator from Illinois with few accomplishments are quick to assault Palin’s “lack of experience.” The same folks who instruct us that Barack Obama is a physical paragon, and Michelle Obama is the most beautiful woman in the world – a goddess who causes fashion models to slink from her path in shame – belittle Palin for her good looks. Defenders of the most fabulously corrupt administration in modern history mumble about the murky details of obscure “scandals” manufactured by Alaskan bloggers. They turn away from the sad spectacle of a manifestly incompetent President to sneer that a woman who alters the course of legislative battles with blog posts is some kind of an idiot. They dismiss Going Rogue as “ghost written” while ignoring the specter of Bill Ayers plodding through Obama’s books, a sputtering bomb clutched in its skeletal fingers. A few lines scribbled on Palin’s palm glow more brightly in their imaginations than terabytes of data flowing across the screen of Obama’s teleprompter. How could a gigantic State be morally defensible, if its leaders aren’t supermen? If you find yourself suspecting the architect of the largest, most expensive government America has ever known might not be as smart or wise as you were led to believe last November, your entire world-view is threatened. 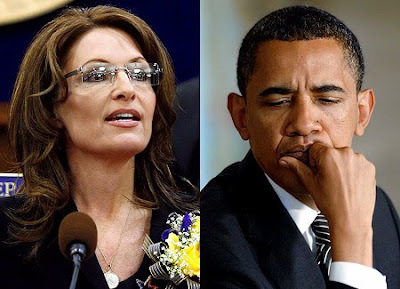 Those of us who never joined the Obama cult can only frown at the chunks of bile strewn through discourse that should have nothing to do with politics, and laugh when people who voted Joe Biden into office sputter about what a lousy vice-president Sarah Palin would have made. 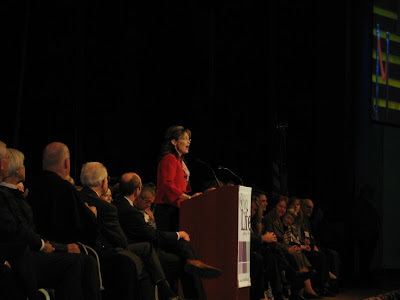 Sarah Palin spoke at the Lincoln Day Dinner in Orange County tonight. The event was mainly to raise money for the Republican Party in that region. The organizers estimate that they raised around $110,000. Gallery of pictures here. A few larger versions of those pics here. She repeatedly referred to getting caught with the notes written on her palm at a speech last month. She went one-by-one through each of the thoughts she said she jotted down: energy, tax cuts and lifting the American spirit. 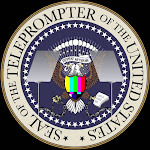 In an obvious shot at President Barack Obama, she said she was "Busted for using a poor man's TelePrompTer. I was just kicking it old school. It's the way we used to do it." And she was clearly disgusted with the media for making a big deal of it, saying, "Nothing should surprise you with the media anymore. The media is broken." Same goes for White House spokesman Robert Gibbs, who wrote the words "hope" and "change" on his hand as he started a daily briefing after the Palin incident. 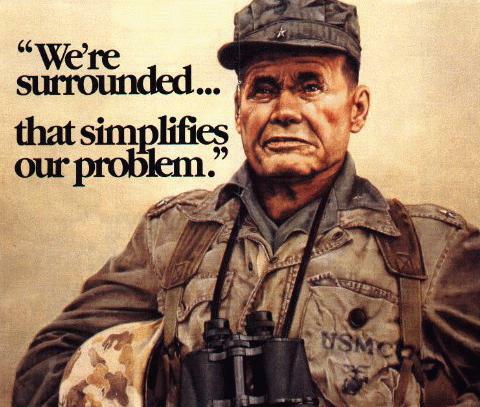 Palin noted Gibbs' action with a "C'mon guys" and said the country has high unemployment, a poor economy and is at war. "You have nothing better to concentrate on?" she said. "Quit disrespecting the wisdom of the American people...."
"Energy touches every one of our challenges, from the values of our paychecks to our nation's interest abroad," she said, adding that she's in favor of renewable energy, but it will take decades for the nation to rely on them and the country needs an all-of-the-above approach now. "It's about time that President Obama and the Democrats in Congress start listening to the people," she said. "Let's drill here and drill now and tap our proven U.S. domestic supplies ... Bottom line: there's nothing stopping us from achieving energy independence that a good old fashioned election can't fix." She took aim at Alan Grayson too, the "Republicans want you to die quickly" clown. Well, Grayson, you don't want people to be born in the first place (those are my words, not hers). She's pretty funny, down to earth, joking about notes on her palm. Palin jogged thru Hunters Creek! Talking about firing the chosen ones. Americans know better, and we're not taking it anymore! People don't want "european-style obamacare". We "want solutions that are uniquely American...that reflect our values"
Palin is explaining the teaparty people to this room full of republicans. Palin says we don't want the DC planned Utopia and we've got 235 days to vote them OUT!!!! 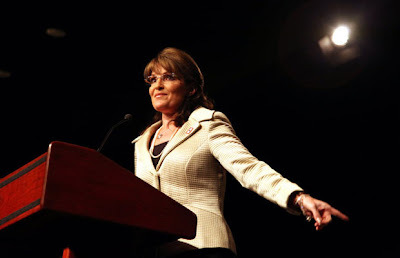 Palin's speech is centered around what was written on her hand! Awesome! We can't afford any more of this...we are headed to insolvency...we just have to hang on until November. Spending freeze isn't enough, "that's like putting a bandaid on a self inflicted gunshot wound" Need comprehensive tax cuts. Biggest commodity that DC is lacking: Common Sense. Palin says that ppl like @reppaulryan have proposed solutions! Fight hard against Grayson for the rest of the country. We swept out corruption in Alaska and created a competitive buisness environment! All of the above approach for energy policy is the only way! Media let's Obama get away with pinning problems on Bush. We will take back Congress in 2010 and the Whitehouse in 2012! We still believe that America is acceptional [sic]. First real test will be the ballot box next Nov! Stick by your principles and stick by your guns and we shall win! God Bless you and God Bless Florida! Some cute little girl is singing "the sun will come out in november!". Haha awesome. 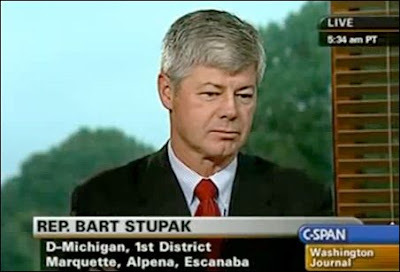 Sitting in an airport, on his way home to Michigan, Rep. Bart Stupak, a pro-life Democrat, is chagrined. “They’re ignoring me,” he says, in a phone interview with National Review Online. And they laughed at the idea of the government putting the budget before a human life. Can anyone say, "death panel?" "Throughout this debate, even when the House leaders have acknowledged us, it’s always been in a backhanded way,” he laments. “I’m telling the others to hold firm, and we’ll meet next week, but I’m disappointed in my colleagues who said they’d be with us and now they’re not. It’s almost like some right-to-life members don’t want to be bothered. They just want this over." Does this next part sound familiar? “This has really reached an unhealthy stage,” Stupak says. “People are threatening ethics complaints on me. On the left, they’re really stepping it up. Every day, from Rachel Maddow to the Daily Kos, it keeps coming. And that is why Bart Stupak is the man. I have questions I want answered. If anyone has can answer them for me, please do. It’s important to note that I am not interested in opinions. Opinions are what got us into this mess. I want answers. I want to know when we decided as a nation, that it was ok to not be decent to each other. When did labeling something, or someone, fascist, become a blanket statement for things that liberals don’t like? When did liberals become so intolerant and mean spirited? When did conservatives become labeled as the devil for having an opinion that differed from the liberals? When did every difference of opinion, need to be a fight? Human beings are capable of sitting in a room, and having a million things to talk about, without ever mentioning religion or politics. You can have a meal with someone, without having to discuss their sexual orientation, banking statements, age, race or weight. Adolf Hitler murdered eleven million people. Six million Jews, and five million additional minorities, including blacks, homosexuals, gypsies, and Jehovah Witnesses. For no reason. He may be responsible for killing the person who could have perhaps discovered the cure for cancer, or who could have taught us to be kind. Hitler altered the history of the world by being evil. I want to know how any sane person can make a comparison between this disgusting man, and Sarah Palin. How is possible that anyone would think it is okay to align this woman with a monster, for no other reason than they don’t agree with her? What is everyone so scared of? My worldview has forever been changed, by simply running into a woman on the street, and having a conversation. 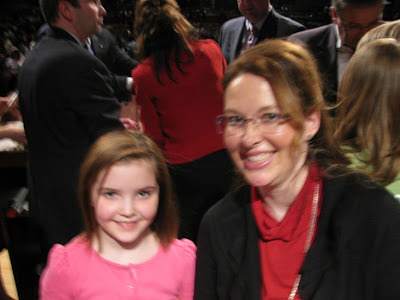 Even though everything changed for me when I met her, this is so much bigger than Sarah Palin and her politics. At the end of the day, this has nothing at all to do with Mrs. Palin. We can’t blame her for everything that is wrong with this country. We need a grand gesture from the people at the top. I turn to you Michelle Obama. You are a hero to me. Not because you are a Democrat, or because you are married to the President and live in the White House. I admire you because as a single mother, who sacrifices everything for my child, your devotion to your family is inspiring. Let’s have lunch. You, Sarah Palin, and me. Let’s talk about our kids, clothes, shoes, the weather, and the dog. Let’s put aside all the things that make us different, and talk about the million things that connect us. Let’s be grown ups, let’s be ladies, let’s have lunch. You can send a message to the country that we must be decent. Oh, Ilana, haven’t you learned by now? The moment you said something nice about Sarah Palin is the moment you became a target. I am one of those Democrats who support Sarah Palin because she appears to be the only leader in America who has consistently stood up to schemes and rackets benefiting organized crime in the federal government, both sides of the aisle. I had hoped Hillary would have been the crimebuster but if Sarah is now all the country has, then more power to her. 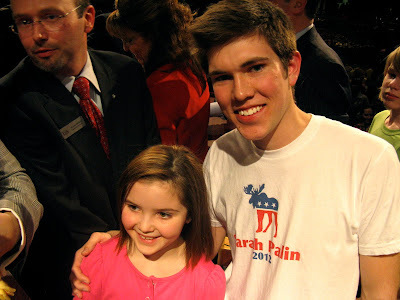 I’m donating heavily to SarahPAC because I trust her choice in some of these races in November. (I was glad the Democratic Congressional candidate in New York won, because it meant Palin and Forbes had knocked out the Pizza Parlor Mafiosa Princess from the GOP). There are far too many of them. Anyway, keep up the great work. I think people of all faiths would enjoy your column—and I do hope you’ll do a little more investigation on Palin’s career because it has been so hopelessly distorted. Organizing for America has spent what now, $300,000,000 solely to destroy her? I think it's fair to say that I don't agree with Ilana on everything, but I sense no malice in her. No you can't. And you can't blame Barack Obama either. Is he to blame for a good portion of what's gone wrong? Yes. More specifically, his philosophy is to blame. But not every stray dog and cat is his fault. And I will confess that it bugs me when some blame every little thing on whoever happens to occupy the Oval Office. When Bush was President, he was the cause of all evil in the world. Now that Obama is President, it's all his fault. Obama's made some really stupid decisions this past year, and I do believe that the man is a Marxist. How can he not be a Marxist given his past and the things that he's said? But I do not pick at every little thing he does, and believe me, I could if I wanted to. I don't care what his wife wears. I don't care if she used her experience with her daughter as an example to kick-start her childhood obesity initiatives. I don't care if he puts his feet on his desk. I'm just not into sweating the small stuff. Maybe some small part of me is still naive. In the spirit of Ilana's article, I will call a truce for ten seconds and commend the President for donating his Nobel Peace Prize money to worthy causes, especially the one to help wounded soldiers. When I saw that on the news this morning, I was happy. Now, if we could get him to quit being a Marxist and start following in Reagan's footsteps we'd have a pretty great President. Bart Stupak is a hero. I respect him in this healthcare fight more than I respect anyone else. He is a Democrat. He also supports the health care bill in theory. But he is pro-life and absolutely refuses to support the bill if it includes any public funding of abortion. He's in the pressure-cooker. In the end, he and his colleagues may be the ones who will prevent the passage of this bill. Maybe he'll cave to the pressure. Maybe he'll end up believing some promise from the Democrat leadership, but I hope not. I may not agree with the man on everything, but he clearly stands by his principles, and I can respect that. As for Huckabee, I must admit, I voted for him in the 2008 primary. McCain didn't thrill me and Romney creeped me out and struck me as fake so....Huck it was. He went to Fox and I haven't cared for him since. He's limp as a dishrag. "I'm not sure I'm in a place in my life, personally, that I can afford to take off two years and not have an income." I'm not convinced that Huck isn't going to run, but his statement sheds light on yet another reason why it's essential for Palin to rake in the dough right now. I don't think she's decided to run yet either, and in the end she may decide she can be more effective elsewhere, but if she does run she and her family are going to be living off of the money she's making now. Not to mention future savings for Trig and possibly some extra war chest funds to fall back on. Mitt Romney is a liberal. Period. End of story. He can go out there and plug his book about no apologies, blah, blah, blah. David Frum (who is an idiot anyway) is out there praising Romney. Why? I cannot imagine. Must be a man crush. Mitt Romney is a liberal. He set up a health care system in Massachusetts that is essentially Obamacare 1.0. And now he's out there defending it. 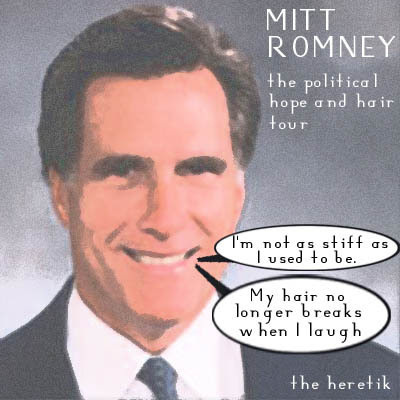 He claims that he is now pro-life and that his Romneycare system is pro-life, yet the system pays for abortions. To justify his socialist brainchild, Romney uses the argument that it is no different from requiring people to carry car insurance. Ah, speciousness, thy name is Romney. Mr. Governor, you can choose not to own a car. Everyone must have a body. But remember this when Romney touts his credentials as a fiscal conservative. While he may boast of his steadfast refusal to raise taxes, it rings hollow when he turns around and mandates citizen expenditures and levies fines. But liberals are adept at revenue-raising sleight-of-hand; when another tax increase would raise voter ire, they simply deem it a toll, fine, fee or, I love this one, a "surcharge." I prefer honest theft myself. Mitt Romney's words mean nothing. His actions speak louder. The former vice-presidential nominee cited another Canadian link: two great-grandfathers hailed from the Great White North, including one from Moose Jaw, Saskatchewan. Said Palin, "That must be where my love of moose came from." There's another Palin Canadian reflection. In the crowd for the event was a woman who has drawn more than a few comparisons to the "rogue" from Wasilla. Danielle Smith, 42, is the leader of the Wildrose Alliance, a conservative party that emerged two years ago hoping to fill space on the right side of the Alberta political spectrum adherents feel has been vacated by the ruling Progressive Conservative Party, and its leader Ed Stelmach. Smith's path to the corridors of power followed a somewhat similar path to Palin's in the sense they both developed a profile in the media before getting involved in active politics. Whereas Palin went from town mayor to state governor, Smith took a stab at school-board politics before making the leap to leader of a fledgling political party, winning the post last fall. Her timing was propitious, as Wildrose won its first seat in the Alberta Legislature in a by-election at about the same time. With the Wildrose Alliance rising in the polls, two members of the Conservative caucus bolted and joined the new party, causing the ruling party and the opposition Liberals serious concern even though a provincial election is not likely until 2013. Just as Palin and Smith seem cut from the same conservative cloth, observers inevitably draw parallels between Wildrose and the Tea Party — some might even make jokes about a continental merger called the Wildrose Tea Party. This resemblance has even caught the notice of The Economist, which in a recent edition observed that Smith's "calls for smaller government are popular with Albertans, whose views often align more closely with American Republicans (of the tea-party persuasion) than with eastern Canadians." Smith is still a long way from the premier's office, and should she eventually win she would be only the second woman to lead a party to power in a province of Canada - the other was Liberal Catherine Callbeck in Prince Edward Island in 1993. But, in the meantime, she is attracting curious attention — and some scorn and derision — inside and outside Alberta. 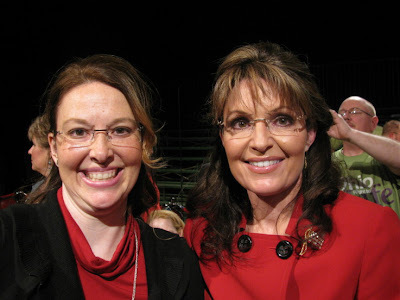 The Palin comparison for her may be a double-edged sword. Oddly enough, Danielle Smith is not alone in the Sarah Palin think-alike contest, Canadian edition. Right here in Quebec, Maxime Bernier, a former cabinet minister in Stephen Harper's government, last week earned a "Canada's Sarah Palin" tag — albeit from a Liberal critic — for his public scepticism of the science of global warming. Bernier, pushed two years ago from his Foreign Affairs post over some misplaced documents and a girlfriend with some shady former friends, is attracting attention for taking some roguish stands on issues besides the environment. Some pundits figure the popular Quebecer is positioning himself to replace Harper as Conservative leader whenever that job should become available. If being Sarah Palin is to be youngish, attractive, populist and a true blue conservative, Canada seems to have found at least two examples in Danielle Smith and Max Bernier. As someone who both lives in Whitehorse and has spent time with the Palin family, I'd like to take this opportunity to do something I've never felt moved to do before: defend Sarah Palin. First, I've got to confess that I learned about these trips she took to Whitehorse more than a year ago, and never reported them. Evidently, gauging strictly on a page-view scale, that was an oversight on my part. On a scale of newsworthiness, though, I still don't think the facts add up to anything at all. Palin's parents, Chuck and Sally Heath, were the ones who let the story slip. Chuck had met me at the front door of their home in Wasilla, and I'd been in their living room less than three minutes, still gawking at their taxidermied menagerie of wolves, foxes, beavers, goats and wolverines, when Sally came in from the garage. "Luke's a Whitehorse Indian," Chuck joked to Sally when he introduced us. "We lived in Skagway for five years," Chuck said. "And at that time the railroad went from Skagway to Whitehorse, and that was our lifeline. There was no road out of Skagway when we lived there." "We appreciated it so much," Sally said. "Anytime there was something serious, we'd get on the train and go to the hospital there, and they'd be so kind to take care of us." And that was it: a simple admission that I didn't think much of then, and still don't think much of now. Whitehorse General Hospital, where my own daughter was born three years ago, remains, to this day, the closest major hospital to Skagway. When Chuck and Sally chose to take their kids there, it would have been a choice dictated strictly by geography, not politics. There are many things one could criticize about Sarah Palin's views of health care in the United States. That she once participated in cross-border medical tourism to Canada is not one of them. Yesterday morning, re-listening to the tape of my conversation with Chuck and Sally, I found another unreported tidbit, one concerning the first of the many Internet controversies that have swirled in Sarah Palin's wake since her emergence eighteen short months ago. I might as well throw it in here. Chuck had just told me that he usually didn't talk with reporters — that, in fact, he'd just hung up on one fifteen minutes before I'd arrived. "The Anchorage Daily News is doing a story," he said. "Is Trig Really Sarah's Son?" "I am so disgusted," Sally said. "I was in the room when he was born, for Chrissakes!" When Palin called it “ironic” that her family once traveled to Canada for health care, she clearly meant that Canada’s system was at one time as good, or perhaps even superior to America’s, but changes to socialization had changed things dramatically since then. Whether you think Canada’s system is better than the U.S.’s or the other way around doesn’t matter: the fact is we’re talking about a very different system than the one that existed here nearly 40 years ago. 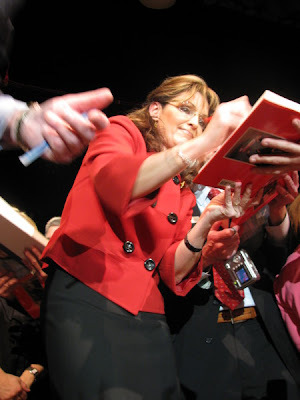 Journalists who are so inclined need not look far to find signs of pretense in the Sarah Palin shtick (I considered a few myself in my column this week on her Calgary visit). Her stance on Canadian health care isn’t one of them. Yeah, that Sarah Palin...she's nuts! 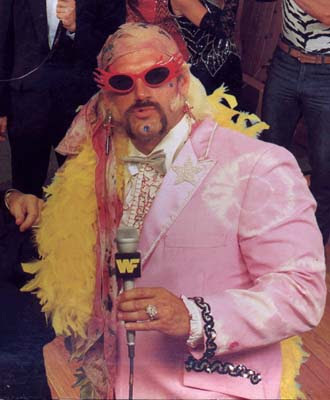 Okay, putting aside that Ventura is a freak, let's address this issue. By the standards that Jesse just laid out, Napolitano and any other politician who has ever left one office for another is a quitter too, because halfway through their term they decided that their current office (that they told their constituents they wanted to be in) wasn't their cup of tea anymore. They decided to leave it for bigger and better things and abandon their constituents. Oh, the irony. That's right, irony. I'll say it slowly so that the liberals can understand, "I-R-O-N-Y." So, back in the day, a young Sarah Heath and her family lived in Skagway until she was about five years old. Skagway was a pretty nifty distance from any good medical facilities. "There was no road out of there at that time," said retired teacher Chuck Heath, reached by phone in Wasilla. "The ferry schedule was very erratic. We had no doctor in Skagway. The plane schedule was very erratic. The winds dictated whether the planes could come in or not." "We much preferred to use our facilities because my insurance didn't cover anything in Whitehorse. And even though they have socialized medicine, I still had to pay the bill, being an American citizen," Heath said. Uh-oh, did you catch that? They had to pay the bill anyway. So much for that whole "grifter" thing. "If you can't fly to Juneau — and a lot of times you can't, especially in the winter — they're going to get you to a medical treatment facility if it's an emergency, and that's normally where Whitehorse comes into play," Cochran said. "It was probably 10 years ago, anyway, two of my kids were in a four-wheeler accident, and one of them was hurt pretty badly, so we medevaced them to Whitehorse via ambulance," he said. "It's usually emergency situations when people go up there." So this wasn't a case of Canadian health care being so much more wonderful or even free, it was a matter of necessity. Sarah wasn't saying that Canada's healthcare is better or that socialized medicine is the cat's pajamas - she was pointing out an irony while trying to forge a connection between herself and the Canadian audience. Period. End of story. Now I would like to address the matter of the contradiction. 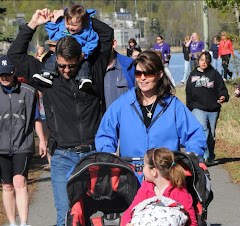 Palin's father said his family probably boarded the train for the Whitehorse hospital only twice — once when a daughter had rheumatic fever, and once when his son, also named Chuck, severely burned his leg and an infection set in. First off, it's clear from the AP article that the Heath family only went to Whitehorse a couple of times for emergencies when they couldn't get to Juneau. This would mean that they did hop on a ferry or a plane down to Juneau when they could, so that route was regularly used by their family. Why would she knowingly lie about the particular incident involving her brother when she obviously had many other examples to choose from? Why did she get the story right this time? 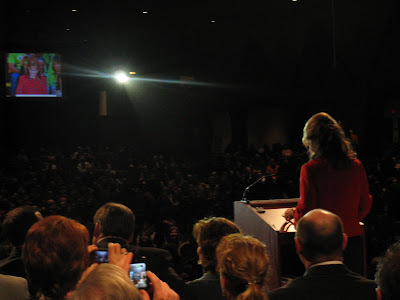 Sarah always tries to relate something of herself or of Alaska to every audience that she addresses. 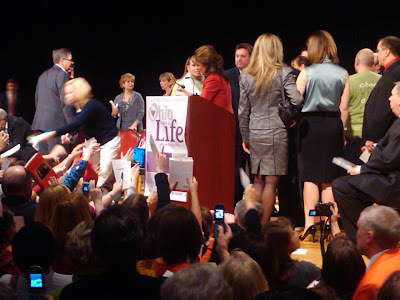 She did the same thing at the Wisconsin Right to Life event. I was there. She said that she talked to her Dad before the event and asked him if he knew of any connections with Wisconsin. Those connections she then shared with us. My guess is that she did the same thing here. "Dad, do you know of any connections with Canada?" "Well, we used to go over to Whitehorse for medical treatment when we couldn't get to Juneau. Remember that time your brother burned his leg? 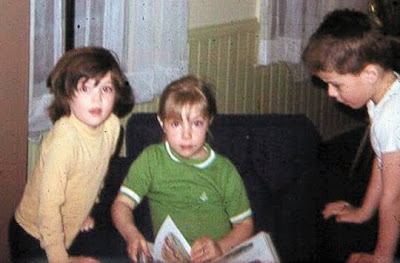 We had to put him on a train into Whitehorse for that." There ya go. Dad straightened out a childhood memory. And what, you think she remembered any time that she had recounted the story wrong? What was she supposed to say? "Back in 2007 I gave an interview and I got this story wrong. Here's what actually happened...."
A. Sarah was five years old. When I was five, I could have sworn I touched the moon. Turned out it was a dream. B. It's clear from the AP article that they only went to Whitehorse once or twice for emergencies. Other times they did take the ferry to Juneau. C. My guess is that Sarah got her medical incidents mixed up. D. Before she spoke in Wisconsin, she asked her Dad if he knew of any connections to Wisconsin. He gave her a few stories. No doubt she did the same thing here, and Chuck told her about the trip to Whitehorse. So this time she wasn't relying on her memory from 40 years ago, but rather her dad's accurate account. Put her in jail. It's all over. You all know by now that Kathy Griffin is so pathetic that she can't do any better than a 19 year-old deadbeat dad. I have to say, I don't really care about her slamming Sarah in comedy shows. It's disgusting, but what's more disgusting is that people are willing to pay money to hear that garbage. Kathy Griffin admits she's obsessed with Sarah...and I honestly feel sorry for her. She was doing stand-up in Anchorage, and I watched the clip...and half-way through it I was struck by what a sad person Griffin must be on the inside. And there are so many like her...who feel drawn to Sarah, but channel their attraction through hate. *The author of the Palin-bashing book who traveled all the way to Wasilla to leave a "gift" at her home (Track was home). *David Letterman, Joy Behar, Keith Olbermann...and all the others who can't go a day without hearing her name fall off their own lips. All these people who hate Sarah...and yet, she's in their head, and you really feel like all they really want, deep, down inside, is for Sarah to give them some motherly love. How sad and lonely and lost they all must be. 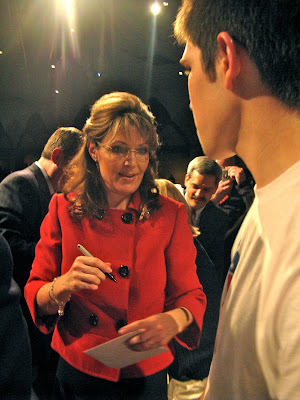 What draws people to Sarah Palin? A variety of things, but tonight I want to focus on one: she likes us. First of all, she embraces small-town USA. The government and the media elites call us racists, homophobes, bitter and clingy, and teabaggers. Sarah Palin calls us the salt of the earth. She embraces the little guy that the elites despise and call stupid. This doesn't mean that if you live in a big city you're off the 'Cuda's radar. Small-town USA is more of a way of thinking, a state of mind. It is a groundedness, a set of values to live by. You can be a millionaire and share those values. I could go to any city and find a grain with which to salt the earth. I could go to any small town and dig up a dirtbag. An embracing of the one isn't an exclusion of the other. 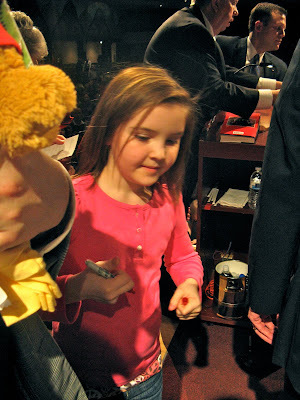 Flip through the pictures of those who went to Sarah's book-signings and you will find all kinds: young and old, suits and shorts, hunters and housewives, business people and teenagers. There are stereotypes on both sides. City people think we're uneducated hicks and we think they're educated idiots who don't have the common sense God gave birds. At the end of the day, all people really want is a little respect. People want to be included in the discussion, not told how it's going to be. We don't want to be bullied or talked down to. Barack Obama says that we're bitter and clingy. He says that we're not smart enough to grasp the complexities of his brilliant policies. And he wonders why we don't embrace him with open arms and fall all over ourselves thanking him for pointing out how dumb we are. The analogy of marriage is a good one. It's the difference between a spouse who peppers you with compliments and a spouse who tells you that you're stupid all the time. When you marry someone, you are not marrying perfection. But you're not going to get very far if all you ever do is point out your mate's faults. America is not perfect, nor will it ever be. You can spend your time like a liberal picking at every fault and exaggerating every flaw in an attempt to fundamentally change the entire system, or you can spend your time like a conservative and extol the many virtues that exist while working to patch up the flaws without ruining the good stuff. It's the Andrew Halcro conundrum. The man may have an IQ unrivaled by Einstein (yeah, right), but he's not constructive. Rather than build up, he chooses to tear down and call everyone else an idiot. That's a turn-off. 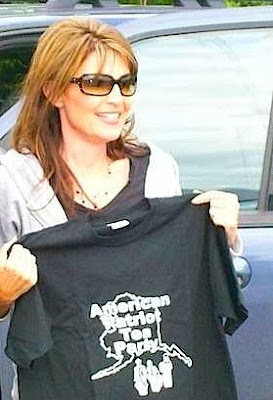 Sarah Palin likes us. In a time when our current President can't seem to apologize enough for our existence, people are flocking to Sarah Palin because she thinks we're great. Consider some of the language in her latest Facebook note - these "brave warriors" who've gone on "heroic missions" should be returned to their unit - "with our gratitude for their service." You feel that? It's a cool breeze on a hot summer day. Wouldn't it be nice to have a President who likes us?